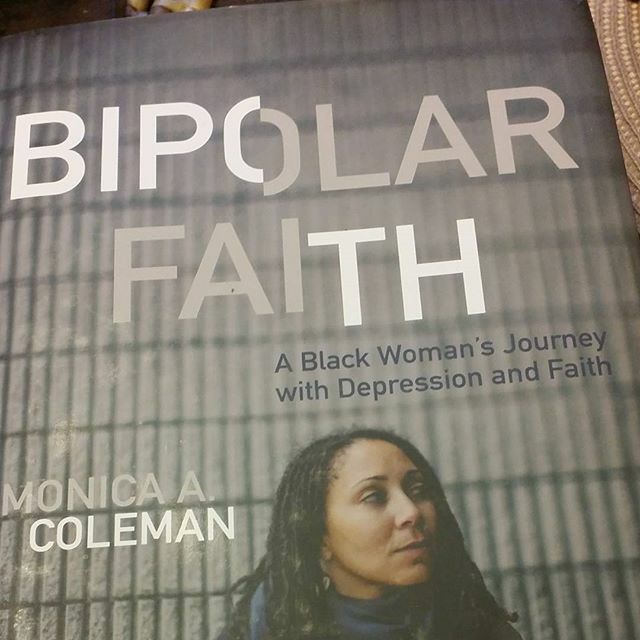 When my friend, Dr. Monica Coleman (aka @revdrmonica) asked if she could include the lyrics to my song "Slave" in her latest book, Bipolar Faith, I agreed, of course. What I didn't know, until I received my copy, was that the song had helped her through a really rough time in her life.How deeply gratifying to read her delicately descriptive prose, detailing her interpretation of the lyrics and how it's application to her situation provided such a powerful healing effect. It doesn't really matter that the song wasn't about what was happening to her. For some reason, the words reached her at that moment, and at that point in her journey, the meaning was profound.THIS is why we create art. We tell a story, we sing a melody, in hopes that we may reach someone, communicate an emotion. And I want to thank you, Monica, for bringing that emotion full circle, for inspiring this overflowing sense of gratitude within me.And if you've read this far, BUY HER BOOK! It's a memoir that feels like a novel, but it's so much more. It's a book of philosophy, of theology. And it helps us understand how to look for the light in those difficult moments when we sometimes find it hard to see our way out of the dark.